Behnam Tabrizi is a leading global business consultant, bestselling author, and award-winning teacher and scholar. He is a Consulting Professor at Stanford University’s Department of Management Science and Engineering, and an internationally recognized expert and thought leader on corporate and leadership transformation who has worked with numerous Fortune 500 companies and government organizations in achieving breakthrough results. 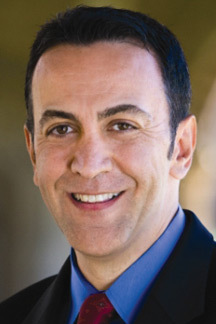 Dr. Tabrizi has written five books on transformation, and has held positions at Harvard Business School and the Stanford Graduate School of Business. He is the Chairman of Rapid Transformation, LLC, (rapidtransformation.com).